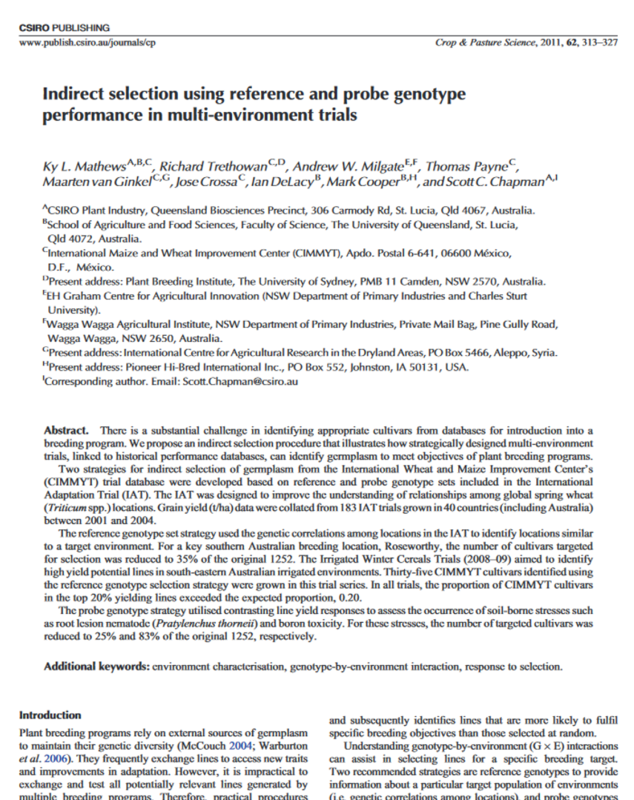 Mathews Ky L., Trethowan Richard, Milgate Andrew W., Payne Thomas, van Ginkel Maarten, Crossa Jose, DeLacy Ian, Cooper Mark, Chapman Scott C. (2011) Indirect selection using reference and probe genotype performance in multi-environment trials. 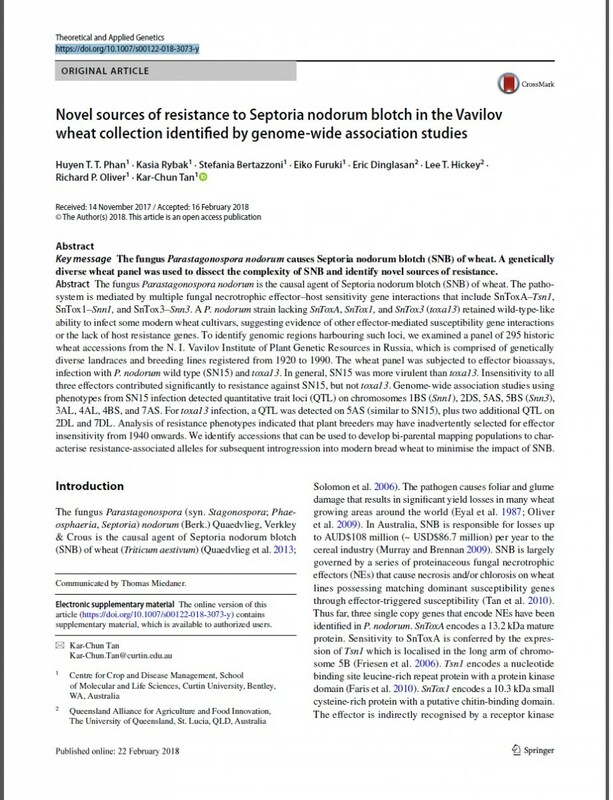 Crop and Pasture Science 62, 313–327. Mathews, K.L., Chapman, S.C., Trethowan, R. et al. 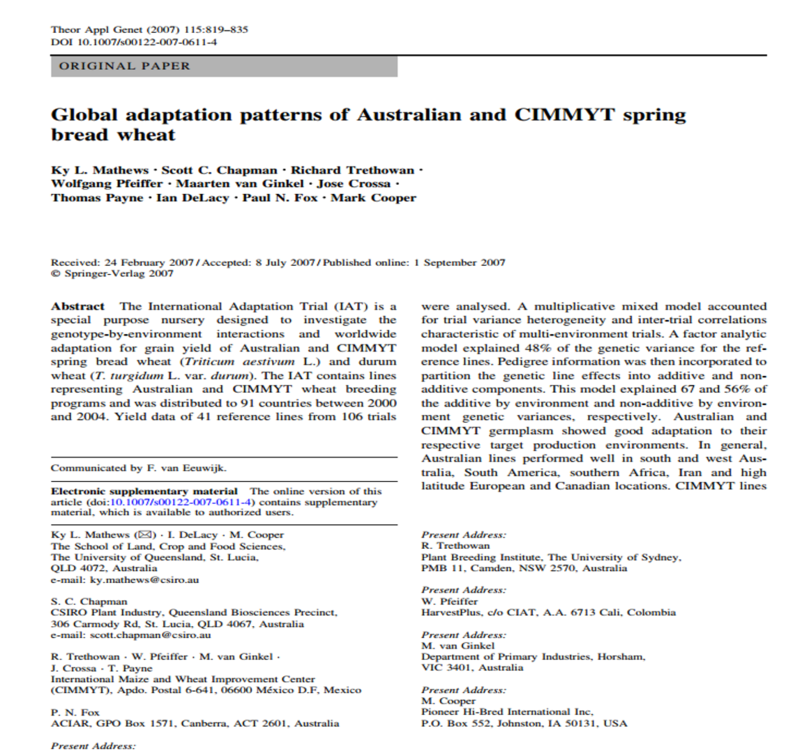 (2007) Global adaptation patterns of Australian and CIMMYT spring bread wheats. Theor Appl Genet. 115: 819. 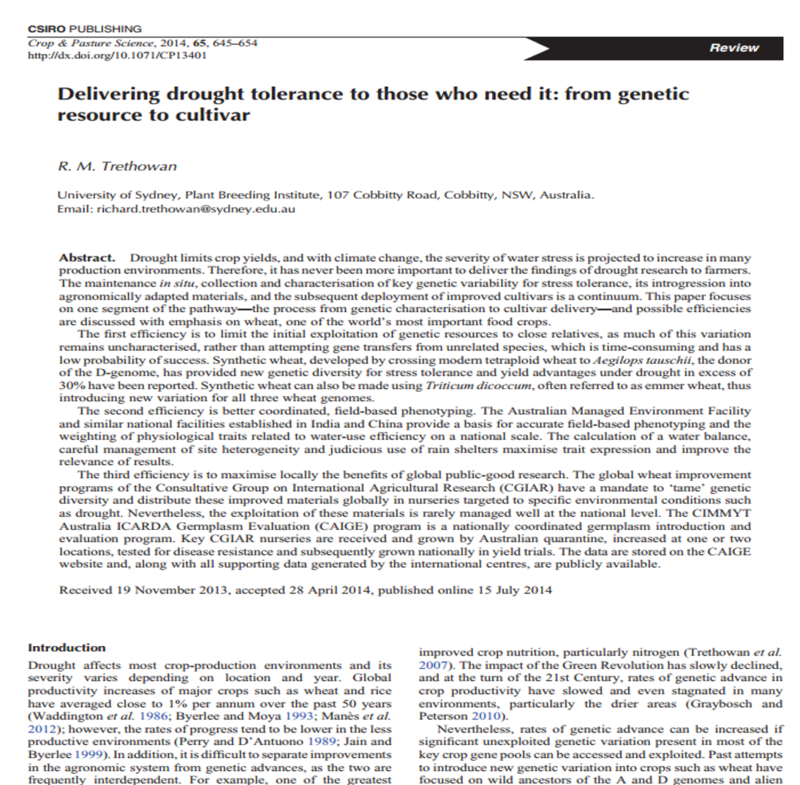 Trethowan R. M. (2014) Delivering drought tolerance to those who need it: from genetic resource to cultivar. 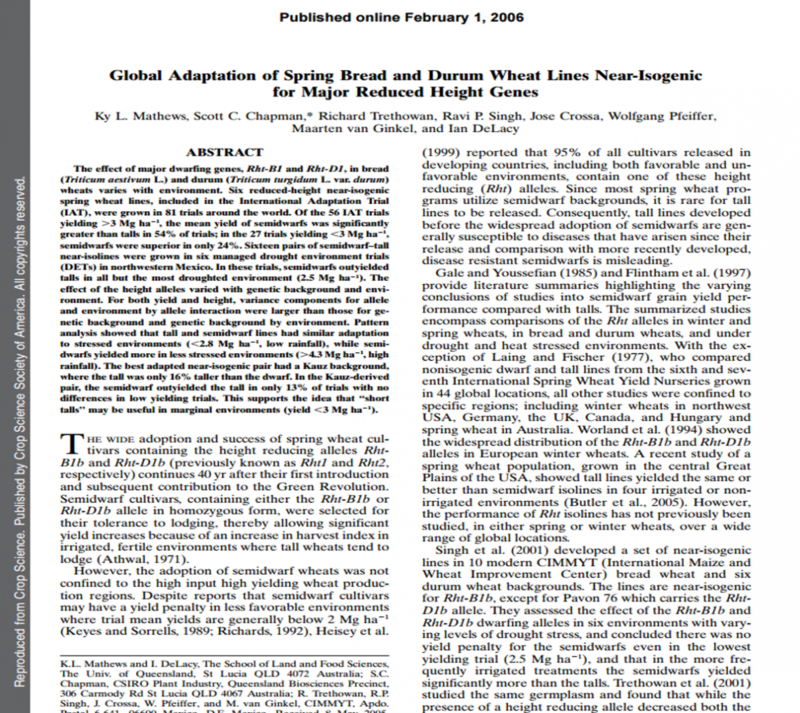 Crop and Pasture Science 65, 645–654.